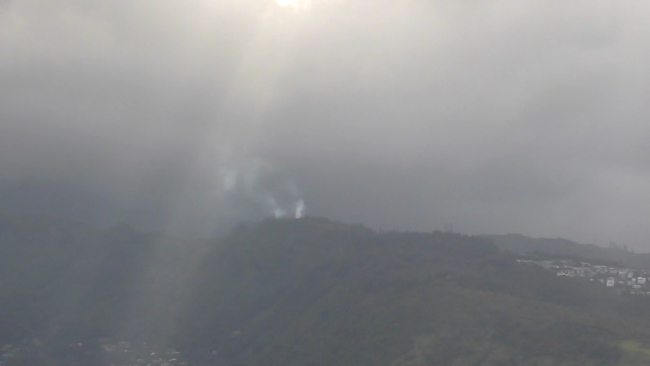 Brush fire on Waahila Ridge, near Saint Louis Heights, on Oahu may be a sign of things to come this summer? Stay vigilant and make sure to check out Wildfire Lookout! for more information on how to prepare for wildfires. "Crews received the call for the fire around 4:30 a.m. Wednesday morning, and stationed a fire monitor to watch the blaze, which was determined to be slowly moving."